Buying a car can be an exhausting process and you have many opportunities to slip up and pay for things that you don’t really need. Each time my wife and I buy a car, we get better at the process and get more for our money. We just spent the last month and a half buying a Honda Odyssey minivan, here are 14 lessons I learned or was reminded of and want to share with you. 1) Research the cars you want before going to the dealership. When you walk in the front door, you’ll be approached by several car salesmen, and they’ll all have a long list of questions for you about what kind of car you want, what kind of features you want, and how much you’re looking to pay. It’s good to know that information ahead of time before you go into the dealership, so get online and research. A good place to start is the automakers website. IN our case we started at Honda.com and researched the minivan and all the different trim levels offered, the different price points, the different features that it offers. We decided ahead of time which features were important to us and which ones we didn’t need. 2) Never buy on the first visit. Typically the car salesperson will want to try and sell you a car before you leave the store. You don’t want to rush into a decision. You need time to process all the information you gather, analyze it, and make the best decision based upon your needs. Leaving without buying is easier said than done because the sales people can be very persistent and persuasive. To help make it easier to slide out it’s a good idea to have a reason to leave the dealership. For example, one Saturday we had a kid’s birthday party to get to. One evening we test drove a car without the kids and had to get back to pick them up from the baby-sitter. Of course you don’t have to give them a reason. You could just say, “No, I’m not interested right now,” and leave but it’s much easier to tell them ahead of time, “I have to leave by a certain time to go to this event”. Like I said, the reason you don’t want to buy on the first visit is because chances are you’ll be rushed into something that you’re not comfortable with. One big reason to visit multiple dealers is that then you can also do cost comparison, and if things go well, you can have the dealers bidding against each other for your business. Another good reason is they may have different inventory. So you get a chance to see a different mix of trim levels, mileage, and quality. The more places you visit, the more options you have as far as what kind of car you might buy. Once the sales person knows what car you’re interested in and what features you want they’ll typically make you some type of an offer before you leave. It’s essential that you do additional research based on the information and offer that you take away from the dealer. Sites like Truecar.com show you how a make, model, and year of a car is selling for the last six months based on your zip code. They list the dealer cost of the car, the factory invoice price, and what other people have recently paid. TrueCar also shows you any fees and any kind of incentive pullback the dealer has – basically a lot of information for bargaining. 5) Play hard to get. We did this rather unintentionally. After our first visits to the dealers we were actually out of town for a while and we had a lot going on when we got back. During this time they had called a few times to follow up and eventually we ended up going back into the dealer. We didn’t buy on our second visits either; just had any questions answered that had come up in our research and test drove a car. Of course that’s kind of a standard line, but it usually happens when you’re in the dealership, on their home court. At this point we had done an enormous amount of research, seen all our options, knew exactly how much we could afford to pay, what we were willing to offer, and what we could bargain down to. So, we gave them a number and ended the conversation. He called us back a few minutes later on with a counteroffer and I agreed with the contingency we could take the car and test drive it for the weekend. 6) Always counter the counter-offer. Looking back on that Saturday morning, I probably could have gotten him to drop his price another $200 to $400. Based on all the numbers I found in research I think if I would have countered his counteroffer he would have come down a little more. We still got a really good deal but of course every dollar counts. 7) Drive the car for a few days. According to the receptionist they don’t usually let people test drive the car for a few days but I would insist. Driving it around as part of your daily, or weekend, routine gives you a good feel for if the car will really meet your needs. 8 ) Don’t pay the administrative fee. According to several people in the industry I talked to in the process of our research the commonly charged administrative fee of $200 – 300 is something you should be able to get waived. We had it removed as part of our deal so definitely include that in your negotiations. Once you agree on the price of the car and have filled out all the paperwork they’ll take you to a little room and try and sell you lots of upgrades to your car. If you’re interested in any of these try and get them added during your price negotiations. For example, we wanted leather seats because we have little kids and they clean up easier than cloth. Unfortunately, the EX-L trim level that had leather was at least $3000 more than the car we trying to buy and the after market heated leather seats ran about $2000. We didn’t want to pay that much so during our negotiations we also bargained for an upgrade to leather seats. 10) Take your numbers with you. During this whole research process I built a spreadsheet that calculated the various price points, the amount of cash we had, the sales tax, how much we’d have to finance, and what the monthly payments would be. Unfortunately I didn’t take the spreadsheet with me when we went to buy the car so I couldn’t remember exactly what the numbers were and we ended up borrowing $500 more than we needed to. That’s not a huge deal, we’ll just make our first payment for an extra $500 but it’s smart to have your figures written down when you go to buy so you don’t run into any surprises. 11) Shop around for interest rates before closing. I was under the impression that we were going to get the new car financing, 1% for 36 months, so I didn’t even shop around for rates before we went in. The story on the car we bought is that a guy bought it, took it home, but traded it in a week later because his wife didn’t like it. So even though the van only had 600 miles the day we bought it, our Odyssey was considered a used car (which is part of the reason we got a good deal) so didn’t qualify for new car financing. Fortunately we both have good credit so they were able to give us a 3% interest rate. However, I had run all my numbers at 1% and if they’d have quoted me anything over 3% I was going to walk away. In hindsight, I should have researched outside loans before going in for the sale. 12) Don’t buy the extended warranty. At the end of the car buying process they’ll try to sell you a variety of extended warranty plans. They only talk in terms of monthly payments, not how much the warranty will cost, and they’ll press really hard to get you to buy. One reason it’s not a good idea to buy the extended warranty is you probably didn’t plan on spending the money. When you budgeted out how much you would buy a car for you, if you didn’t add in the cost of an extended warranty than you might not be able to afford it. The finance manager will talk about it in terms of your monthly payment amount but when you look at the total cost of the warranty it’s a big chunk of money. 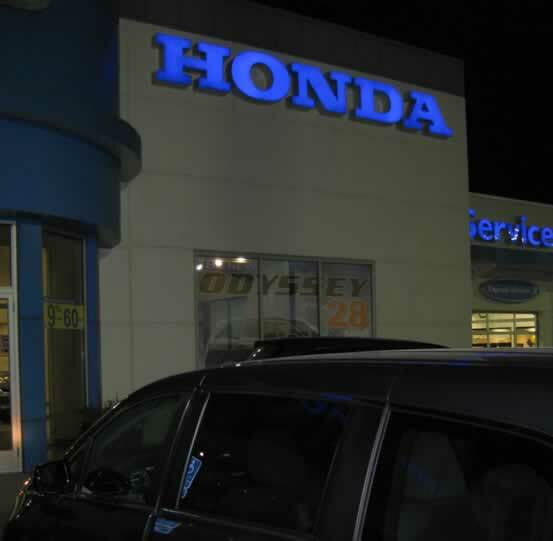 One thing the finance manager said to us was how Honda spends millions of dollars a year paying out claims on extended warranties. What he didn’t say was how many more millions they earn from it in income. I don’t know what the markup is on extended warranties but I do know from talking to people in the industry that they’re highly profitable for dealerships. Rather than spend the money on an expensive extended warranty, I’d rather put away a little money every month on my own and have a fund built up for when the warranty expires. That way, if something goes wrong I have the money to cover it. If nothing major goes wrong I can use that money towards my next car someday. Of course this could depend on the quality of the car you’re buying. One of the things my wife pointed out to the finance manager is that we’re buying a Honda because we trust in their commitment to high quality cars. We could spend less and buy a brand that doesn’t have a history of being as durable and long lasting. But we chose to spend more on a Honda so we’re comfortable not getting an extended warranty. We also had something else going for us in terms of the warranty. Since it was considered a used car, even though it only had 600 miles, it was a "Honda Certified Used Car". This means it also comes with a 100,000 mile power train warranty on top of the 3 year, 36K mile bumper to bumper warranty. So we said "No thanks" to the extended warranty. Actually, we said no thank you about 8-9 times because he kept trying to convince us to buy different versions of the warranty. Finally, he offered it to us at half price and after saying no for about the 10th time he realized we weren’t going to buy no matter how hard he pushed. 13) Make sure you read all the paperwork. As we went through the paperwork, they tried to rush me through the forms. I kept asking questions about each form and they kept waving them aside saying "everything’s fine, everything’s good, just sign it". They handed me one form that talked about our warranty, and it had two checkboxes that worried me. The first one said Full Warranty, but it was unchecked. The second one, "Limited Warranty", was checked and had a bunch of fine print following it. I asked him to explain the Limited Warranty option and he said it was no big deal and to just sign it. We went back and forth about it but wouldn’t explain why the Limited Option was on there and why it was checked. Finally he gave up and changed it to say Full Warranty. If I would have rushed through the forms and signed them without reading them like he wanted me to, I might have ended up with a limited warranty as opposed to the full warranty. 14) Don’t be afraid to walk away. As I mentioned earlier, this was a long process for us and as we got close to the end we were ready to finally have it over with. Once you’ve invested a lot of time and emotion into a purchase it can be hard to let it go. However, if the things that were promised to you change, the best thing to do (if they refuse to give you what was promised) is to simply walk away. Regardless of how long you spent there and how far into the process you are, it will end better for you if you leave. It doesn’t mean you can’t come back and negotiate again another time but don’t make concessions in the heat of the moment. If youâ€™re not getting what you were promised and what you know you can afford, then itâ€™s best to walk out of the dealer. So those are my 14 lessons. What have you learned during the car buying process; please share in the comments below. I know I didn’t hit them all, what things am I leaving out? This is great. Very informative and detailed, it is exactly what I needed. I’m looking into getting a “new” car so I’m saving this post to look over with my husband. Going into the dealership can be so overwhelming. Hopefully, I can walk in prepared and ready to say no. Some nice tips you’ve got there Ben! Good job negotiating the car for a weekend drive. I’m sure they would have been very unhappy if you hadn’t purchased the car after doing that!